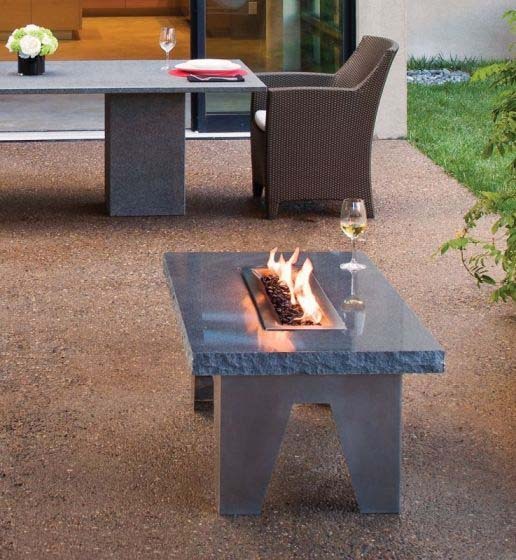 Vesta Fire Table is an attractive outdoor furniture pieces which is made of bluish gray granite slabs, with a contrasting polished coffee table top and chiseled sides. 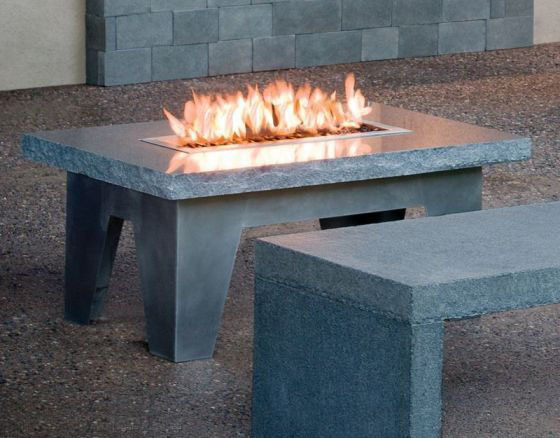 The coffee table features a stainless steel base and includes a match lit trough burner kit for natural gas. This beautiful outdoor furniture design is available from Stone Forest, an online store specializing in garden furniture and outdoor decor, granite sculptures, fountains and small home decor accessories made of stones. 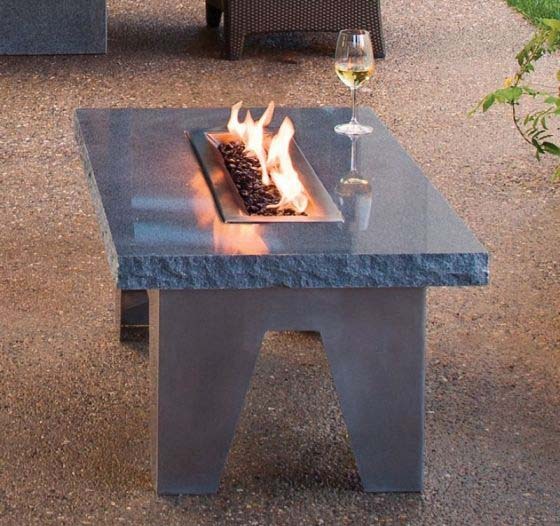 Vesta Fire Table is a unique handmade garden furniture design that can add the beauty of bluish gray granite and the warmth of skilled hands to your outdoor decor. The combination of a polished coffee table top and an elegant inset made of stainless steel create gorgeous garden furniture item for adding coziness and charm to outdoor rooms. A mini fireplace in the center of the table top runs on natural gas, bringing the warmth into long cool evenings in spring, winder and fall. The fire creates a therapeutic, comforting and calming effect. The price is $ 1625. The integrity of granite gives garden furniture and outdoor decor, granite sculptures and small home decor accessories carvings a radiant mass or presence not realized using man-made materials such as cement or cast stone. Each garden furniture and outdoor decor pieces from Stone Forest, www.stoneforest.com/ gardenstore/ is hand carved using hammer and chisel. The individual character of the rock as well as the inspiration of the stone cutter lend each sculpture a unique quality, adding grace and beauty to outdoor rooms.